Is Banco Bradesco SA (NYSE:BBD) a good investment today? Money managers are getting more optimistic. The number of bullish hedge fund positions went up by 2 recently. Our calculations also showed that BBD isn’t among the 30 most popular stocks among hedge funds. BBD was in 16 hedge funds’ portfolios at the end of the fourth quarter of 2018. 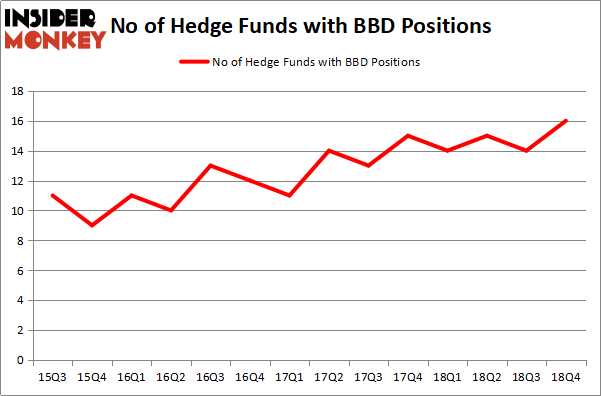 There were 14 hedge funds in our database with BBD holdings at the end of the previous quarter. We’re going to take a look at the latest hedge fund action encompassing Banco Bradesco SA (NYSE:BBD). At the end of the fourth quarter, a total of 16 of the hedge funds tracked by Insider Monkey held long positions in this stock, a change of 14% from the second quarter of 2018. Below, you can check out the change in hedge fund sentiment towards BBD over the last 14 quarters. So, let’s find out which hedge funds were among the top holders of the stock and which hedge funds were making big moves. Among these funds, Fisher Asset Management held the most valuable stake in Banco Bradesco SA (NYSE:BBD), which was worth $344.2 million at the end of the third quarter. On the second spot was Capital Growth Management which amassed $141.8 million worth of shares. Moreover, GLG Partners, Prince Street Capital Management, and AQR Capital Management were also bullish on Banco Bradesco SA (NYSE:BBD), allocating a large percentage of their portfolios to this stock. As industrywide interest jumped, key hedge funds were leading the bulls’ herd. PEAK6 Capital Management, managed by Matthew Hulsizer, initiated the most valuable call position in Banco Bradesco SA (NYSE:BBD). PEAK6 Capital Management had $4 million invested in the company at the end of the quarter. Peter Rathjens, Bruce Clarke and John Campbell’s Arrowstreet Capital also initiated a $3.5 million position during the quarter. The other funds with new positions in the stock are Hugh Sloane’s Sloane Robinson Investment Management, Richard Driehaus’s Driehaus Capital, and John Overdeck and David Siegel’s Two Sigma Advisors. Let’s also examine hedge fund activity in other stocks similar to Banco Bradesco SA (NYSE:BBD). These stocks are General Electric Company (NYSE:GE), Charter Communications, Inc. (NASDAQ:CHTR), Walgreens Boots Alliance Inc (NASDAQ:WBA), and Mitsubishi UFJ Financial Group, Inc. (NYSE:MUFG). This group of stocks’ market caps match BBD’s market cap. As you can see these stocks had an average of 42.75 hedge funds with bullish positions and the average amount invested in these stocks was $2672 million. That figure was $628 million in BBD’s case. Charter Communications, Inc. (NASDAQ:CHTR) is the most popular stock in this table. On the other hand 0 is the least popular one with only 9 bullish hedge fund positions. 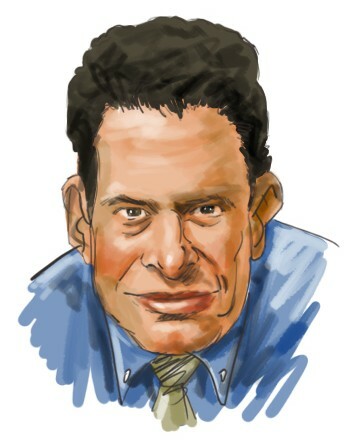 Banco Bradesco SA (NYSE:BBD) is not the least popular stock in this group and hedge fund interest is on the rise. Our calculations showed that top 15 most popular stocks among hedge funds returned 19.7% through March 15th and outperformed the S&P 500 ETF (SPY) by 6.6 percentage points. Hedge funds were also right about betting on BBD as the stock returned 20.6% and outperformed the market as well. Hedge Funds Have Never Been This Bullish On Thermo Fisher Scientific Inc. (... Do Hedge Funds Love Diageo plc (DEO)? Itau Unibanco Holding SA (ITUB): Are Hedge Funds Right About This Stock? Were Hedge Funds Right About Buying United Technologies Corporation (UTX)? Were Hedge Funds Right About Dumping Twenty-First Century Fox Inc (FOX)? Were Hedge Funds Right About Buying Costco Wholesale Corporation (COST)?